by coie - January 25th, 2007. We have been back from Michigan for about a week now but I haven’t had a chance to share my pics until now. One day that we were there my grandparents announced that my grandpa got a new quad/4-wheeler/whatever you call it in your region and we were to be the owners of their old one!!! I have wanted a quad since I was 8—and now we have one! As you can see from my new avatar, we have been practicing hairstyles for the upcoming 1800’s party. I have also started on my outfit. We have really enjoyed our Scottish Country Dance Lessons, and we keep catching my dad skipping and prancing in the grocery store aisles, in the dining room, and other such places. I believe he enjoys it more than any of us. hardy har har. I also bought some WONDERFUL hemp necklaces from a blogger here on HSB. You can see her website HERE. Ok, here are a bunch of pics…click on thumbnails for larger versions. 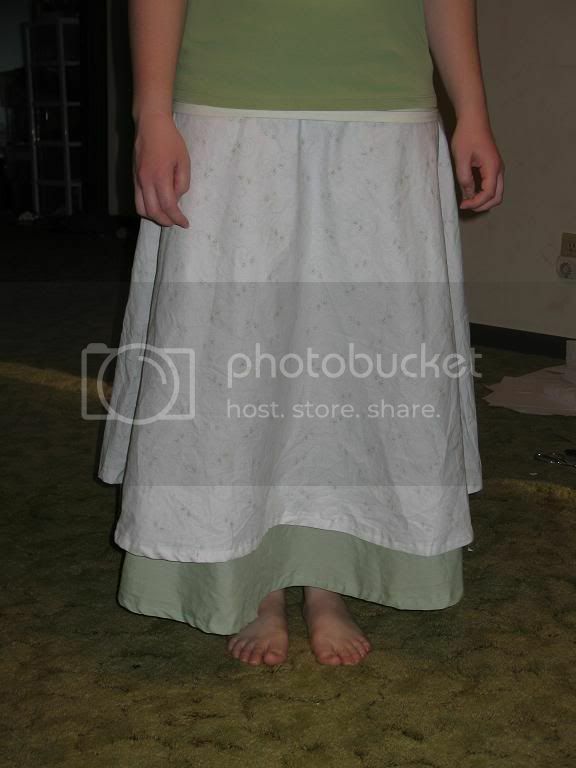 The skirt I made…It’s a tad too big. Some info on Dippy the Squeaky (6), whose favorite phrase is, "Oh my SQUEAKERS!". He is a backwards child. Every family has a backwards child. It is the child who is not only tiny but also puts his shirts (even button-ups) on backwards, his pants on backwards, his shoes on the wrong feet, and, if he’s wearing any at all, his underwear on backwards. 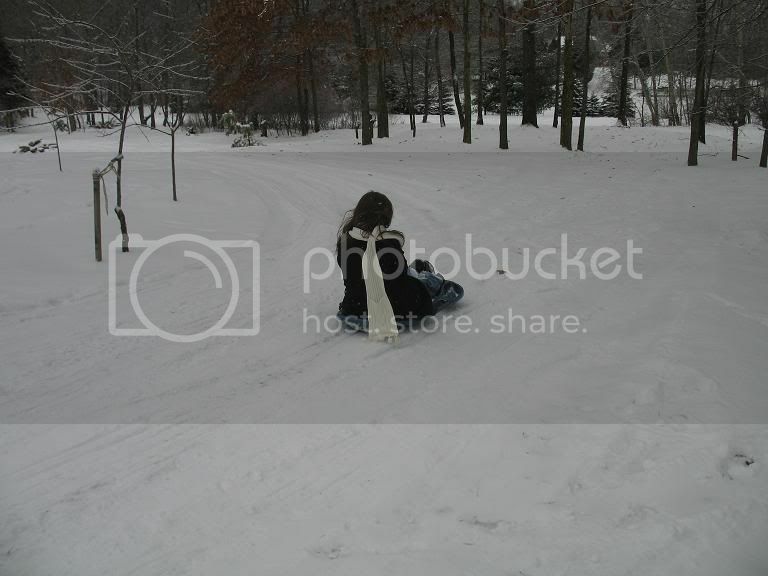 Backward children also have trouble when it comes to sledding. 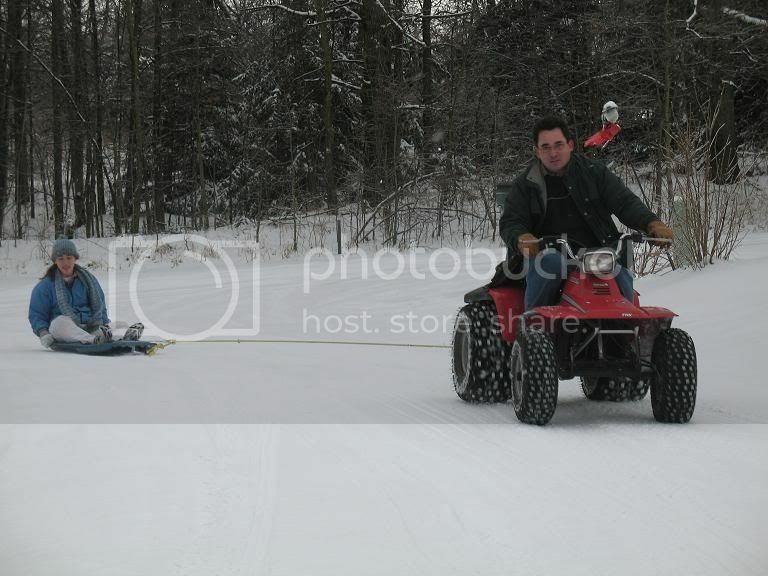 While there, my dad would tie the sled onto the quad and drive us around. After Emmi’s ride she told me that dad tipped her on purpose and she was COVERED in icy powder (eh, that means snow). Dad asked if I wanted to go and I refused. I told him I was wearing my only coat and didn’t want to get wet. Here is a pic of Ryann doing it. Dad finally convinced me to get on, reassuring me I wouldn’t tip. And what do you think happened after we turned that second corner? Bingo! I was quite indignant. Trying to wipe the snow off, after tipping. Dad is unwinding the rope from the axle. The ride was finished by running me into a stump. My sister EmBem (11) is quite the pro when it comes to being athletic and daring. 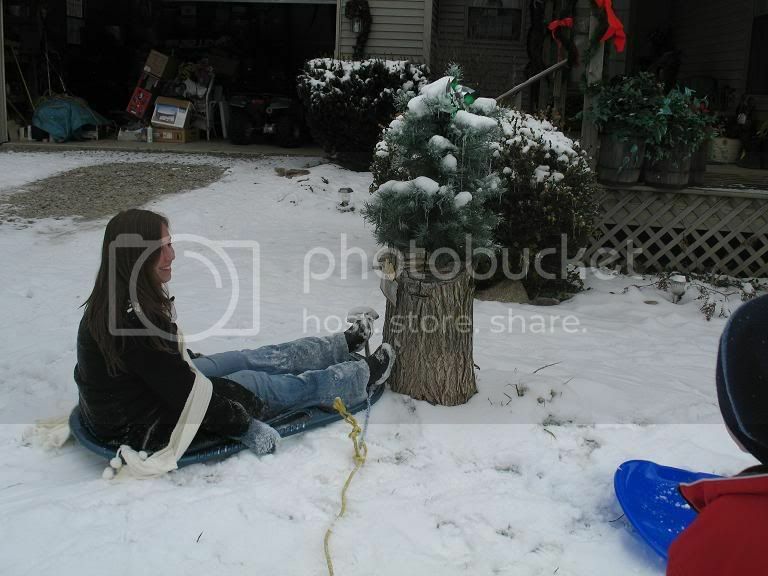 She kept riding the sled STANDING UP down a small hill. And since I’m 6 1/2 years older I figured I could do it too. I momentarily forgot my eternal state of uncoordination. First she gave me a small lesson……. Shaky start. 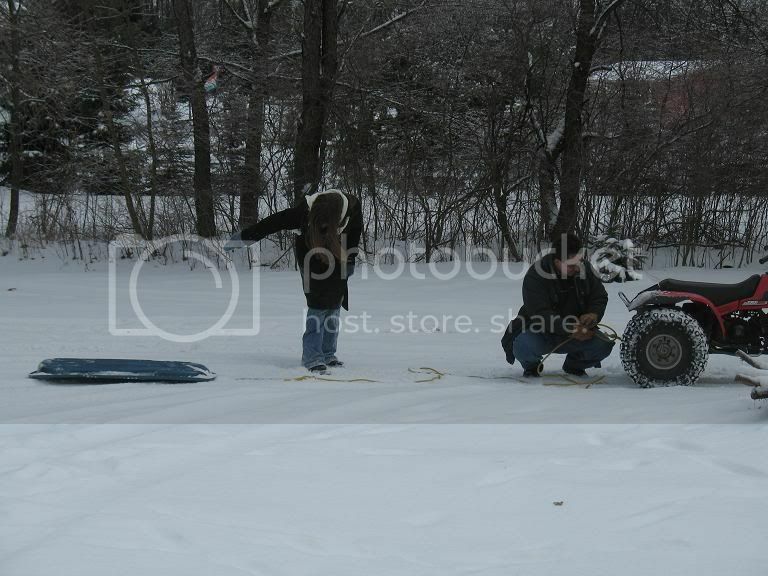 In other words, I was terrified and remembered I have no sense balance, steering, or common sledding ability. 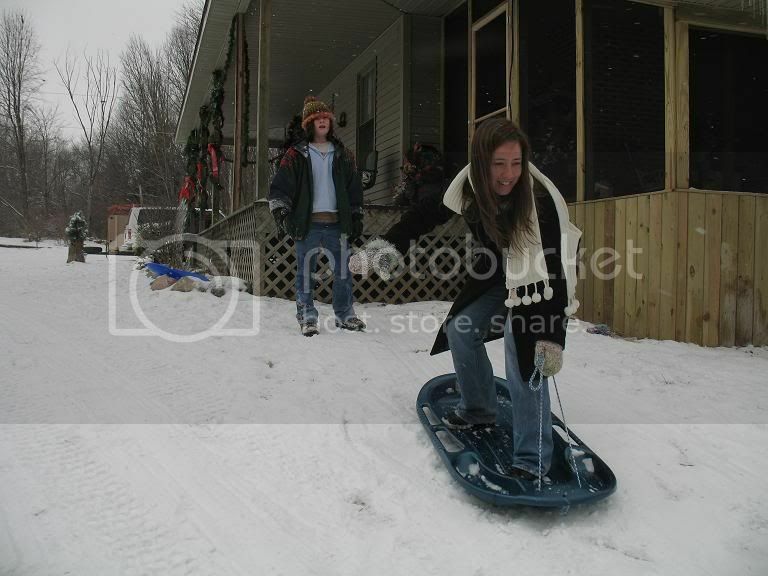 After 10 feet of screaming, I mean sled-boarding, I parted with the dear slippery thing. Halfway down, I decided it was all too much, and sat down for the rest. And thus ends my post…..So tell me, what do YOU call the 4 wheeled fun-mobile pictured above? I Love that hair style you did! It’s beautiful! 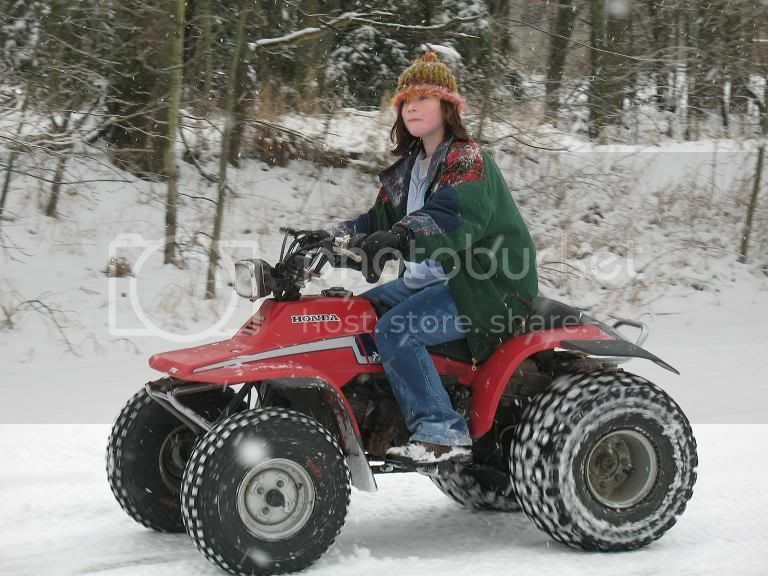 I really like riding 4 wheelers but my mom is a little nervous about it though. P.S. Want to be Friends? I don’t understand football all the way. Just in case you wonder I am Sharra Badgley’s oldest girl. It's a 4 wheeler here. Mr R and his friends like them to drag out our meat after a successful deer hunt. I adore that hair style in your avatar. Sami is trying to come up with something to do with her hair for the BIG PARTY. It has still not grown out since she donated 12 inches to locks of love last summer. Surely it will be back by this summer. 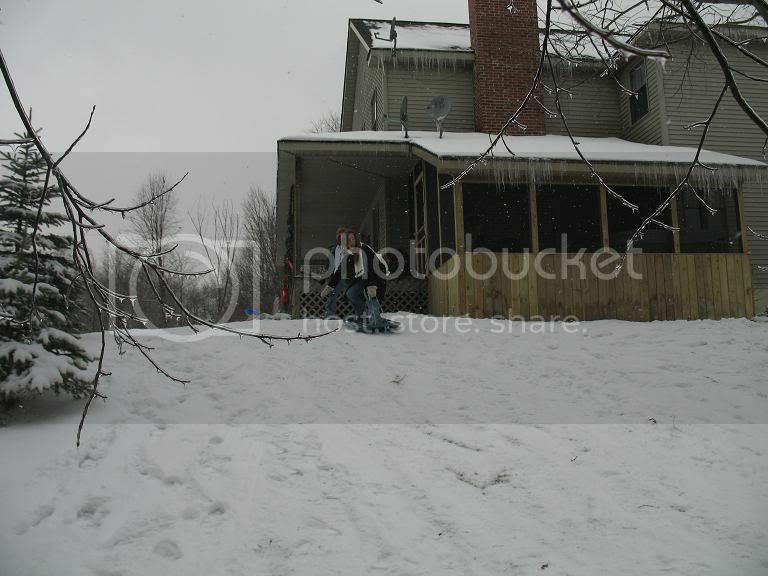 Your days in Michigan brought back lots of snowy memories from our days in RI. I remember that I do not like cleaning off my car after a snowstorm nor driving in it. 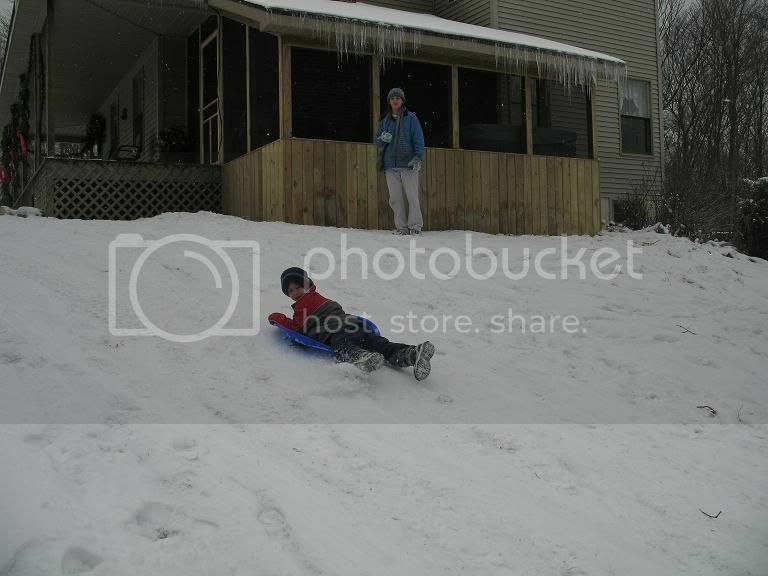 But I also remember how much fun we had with snow ball fights, building snowmen and sled rides. 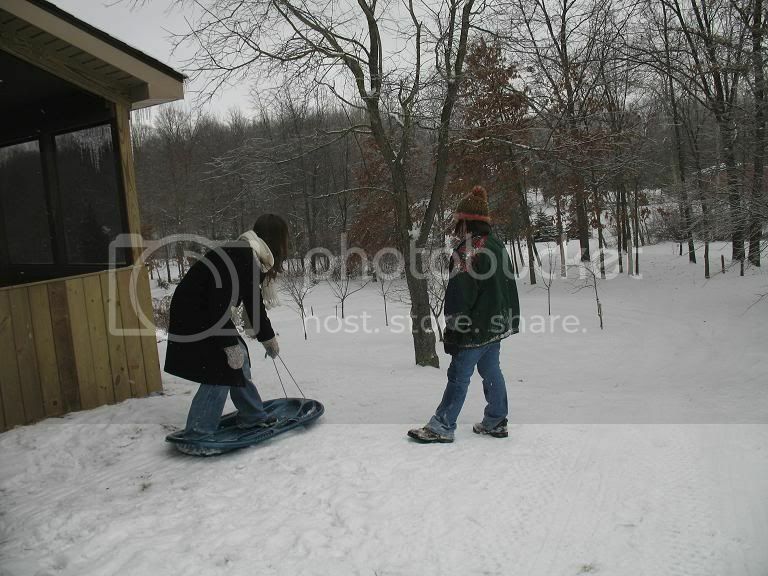 We are due for our annual snow trip to the mountains. I absolutely LOVE that hairstyle 🙂 How long did it take you to curl and put that up…it'd probably take me hours upon hours! 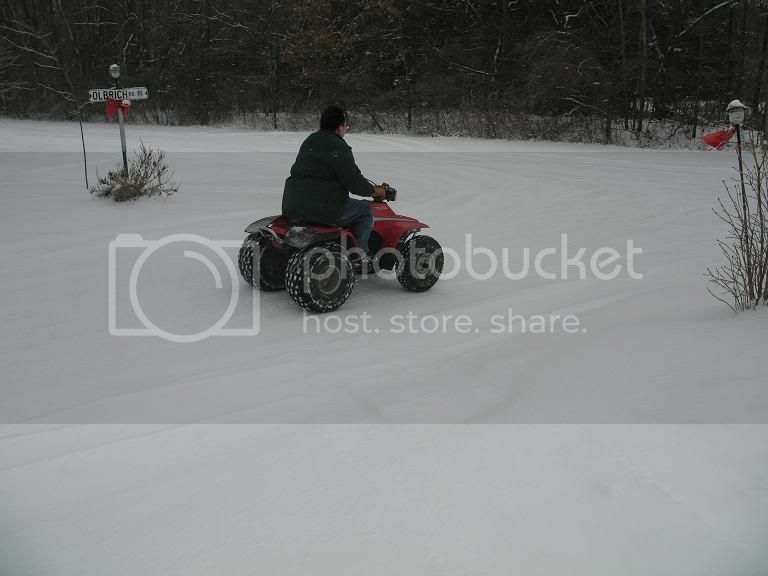 Yes, I'm with Sharra on the whole 4-wheeler thing. A friend of mine lost her son at 13 on one of those, so be careful! I absolutely LOVE the do. Beautiful! Just so you know the link you put up doesn't work. You might want to check that. By the way I love your avatar! So what's up with this whole 1800's party? your comment makes me feel so much better!! NOT!! I guess our bodies want to get the crap out of them, huh. we must have more of a stomach flu, than a respiratory sickness. Wow, you really like posting pictures! I found you on superangel's blog, so I came by to check out your blog! Very good pics! I like the skirt! Very cute! I like the hair, Jocelyn said we night do mine kind of like that! It's very pretty! Your hair looks lovely! Can you explain how you did it? Do you have any pictures of what it looks like from the front? That is one gorgeous hair-do! How long did it take to put it up? All right, yes, I know that is Mommy's name for you, but I like it and I like your scarf! (OK, Coie's in a good mood, keep going….) Great to see you guys again (virtually) beautiful hair-style, and nice sledding! P.S. I liked your poem. Those pictures make me miss you guys all the more! 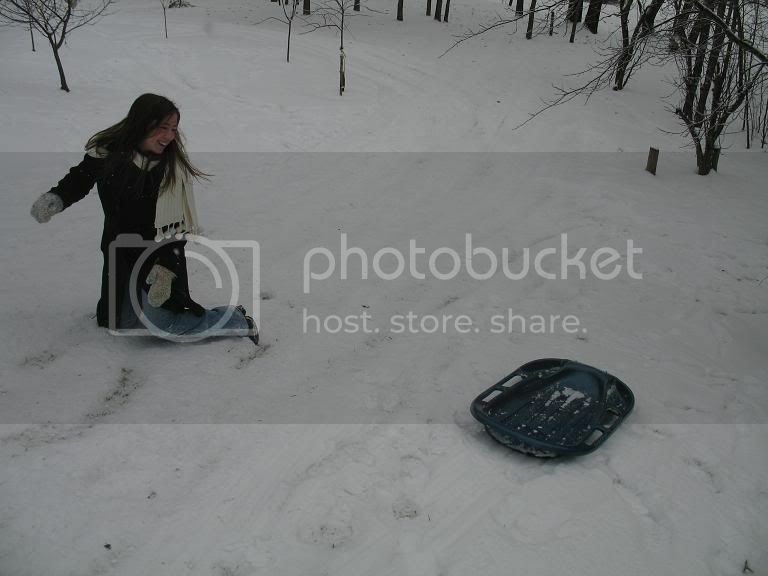 that sounds so much like me on the sled thing! A few years ago I tried snowboarding (in the dark, no less) and apparently put the snowboard on BACKWARDS… thereby providing amusement to a kid who's about three years younger. *I* was NOT so amused. Looks like fun! 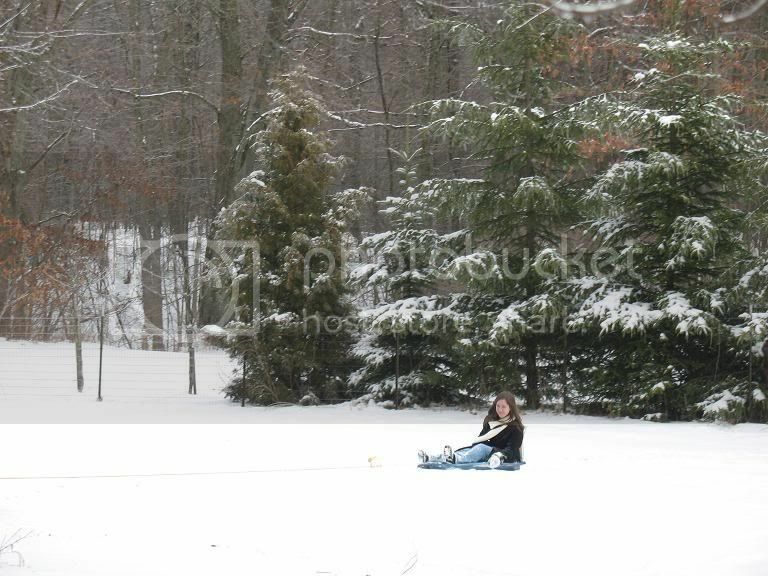 You're so brave… sled-boarding. Don't know if I'd be brave enough to try that or not. 🙂 Man, I wish it would snow here. Okay… I WANT to know how you did your hair! It's absolutely gorgeous!! !